Arthroscopy is a sub speciality of orthopaedics in which intraarticular pathologies can be diagnosed and treated in a minimally invasive way by key hole surgery. The joint is approached through key holes using pencil thin instruments and high definition camera. This allows detailed assessment of the whole joint and thereby providing the opportunity to identify any pathology and at the same time treating it. Sports medicine is another subspeciality in orthopaedics which deals with management of common sports injuries and the factors leading to it. 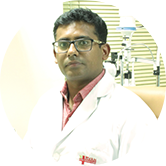 The knowledge of this speciality is also useful in solving many day to day orthopaedic health issues like low back pain , neck pain, heel pain etc. Sports medicine focuses in particular on correction of biomechanical deficiencies, correction of posture, preventive measures to avoid injuries, post injury /post surgery rehabilitation. Diagnosis and management of intraarticular pathologies like loose bodies, synovitis, cartilage, meniscal and labral lesions, ligament injuries like ACL, PCL, IGHL etc; cystic lesions like ganglion, baker’s cyst, parameniscal cyst. Minimally invasive , so less scar, less blood loss, early rehabilitation and return to normal. Comprehensive assessment of the whole joint without the need for opening the joint. As with any other orthopaedic surgical procedure proper rehab under the guidance of the surgeon and physiotherapist is mandatory for good results.